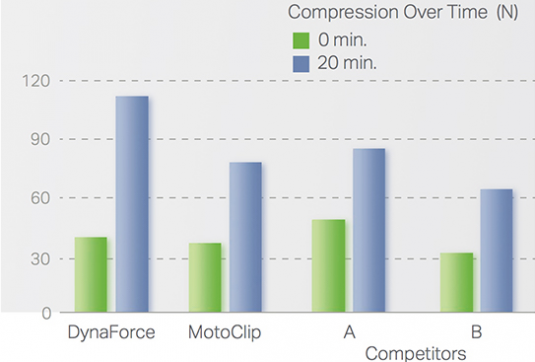 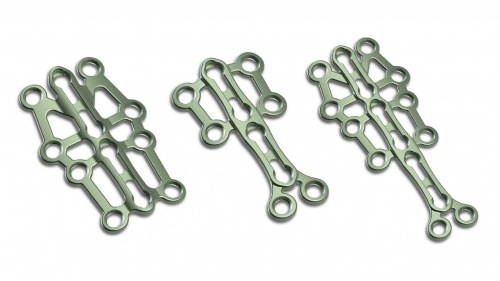 The DynaFORCE Active Stabilization System integrates our high compression nitinol clip technology with the stability of our plate offering. 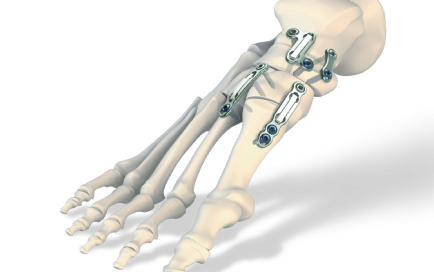 The DynaFORCE system offers a wide range of technology for multiple foot applications. 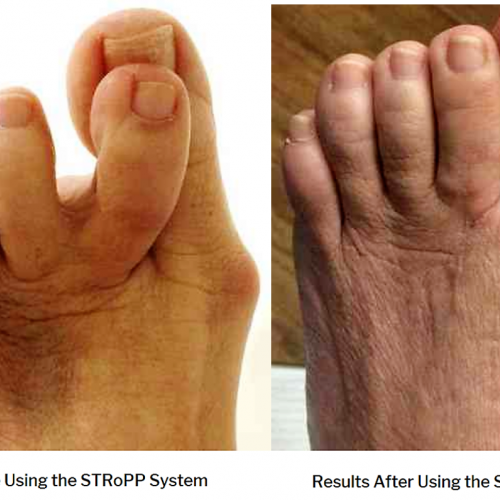 STRoPP™ (Single Tunnel Repair of Plantar Plate) is a unique and new approach to the repair of the plantar plate. The STRoPP Kit is a comprehensive kit for assisting surgeons in the repair of the Plantar Plate. 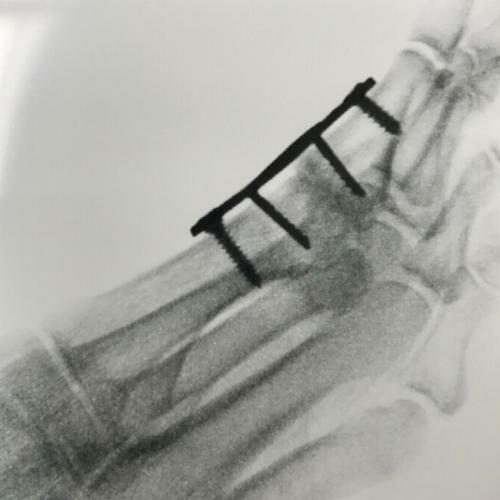 This unique technique features a single tunnel for passing the sutures thus avoiding multiple drill holes in the bone and associated bone weakness. 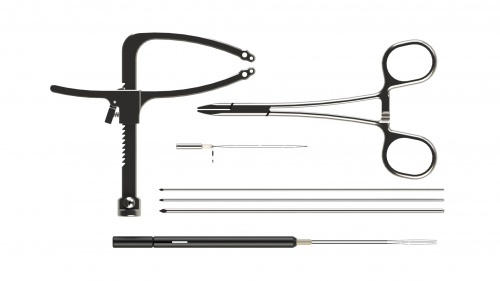 The STRoPP Kit comes sterile packed and complete with all reusable instruments needed for the procedure. 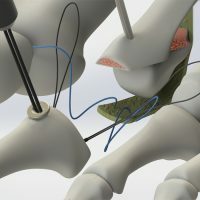 The custom needle accommodates the surgeon’s preferred suture. 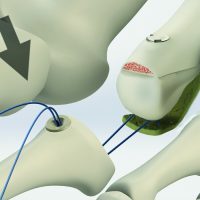 All sutures are passed, and the implant loaded in one fluid motion. 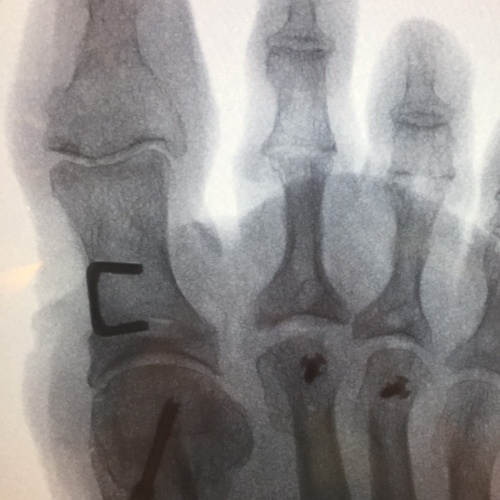 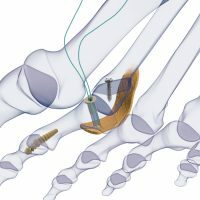 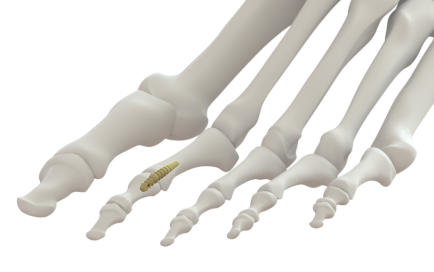 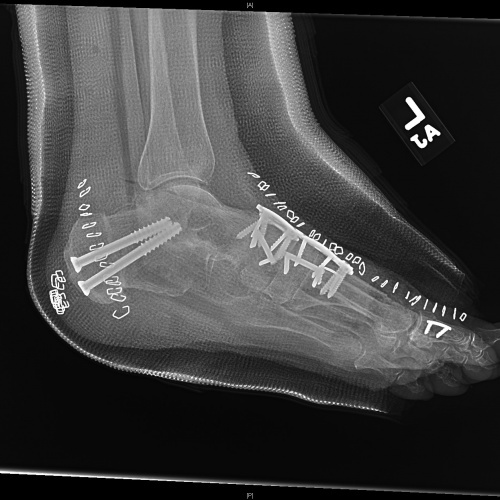 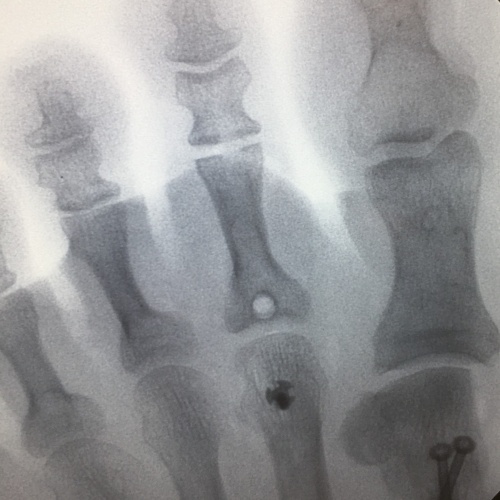 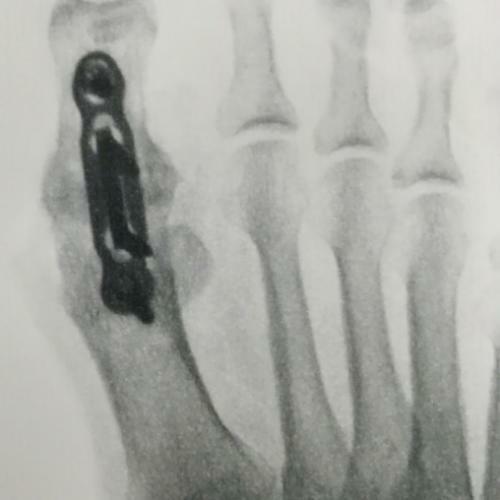 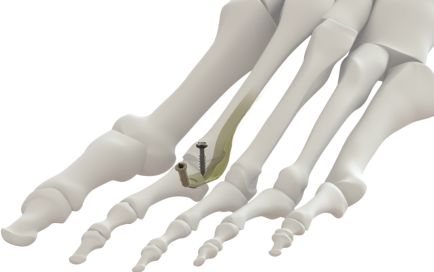 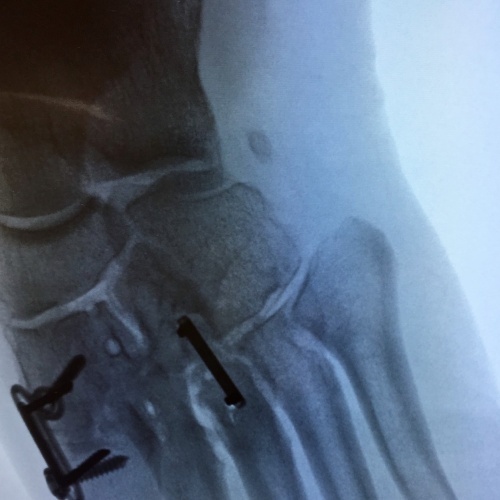 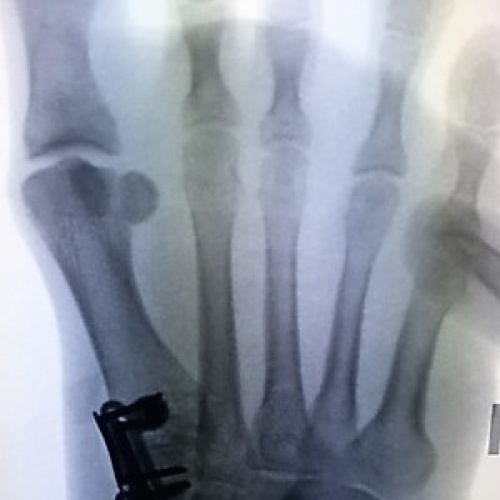 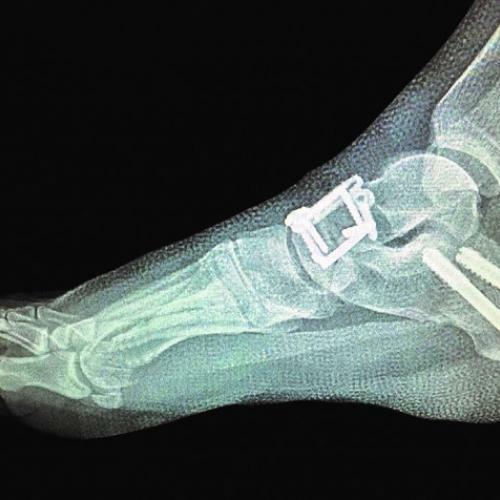 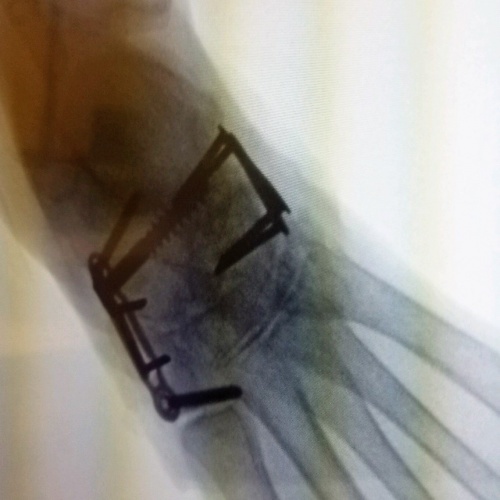 The CrossTIE™ implant is designed to aid in the correction of hammertoe deformity. 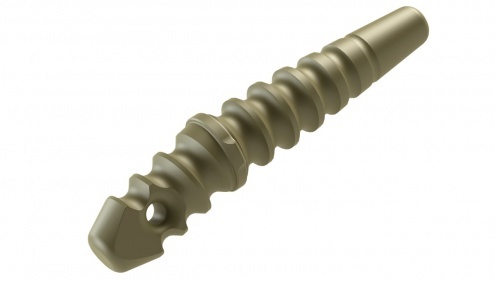 It is available in either PEEK material or as a machined cortical allograft. 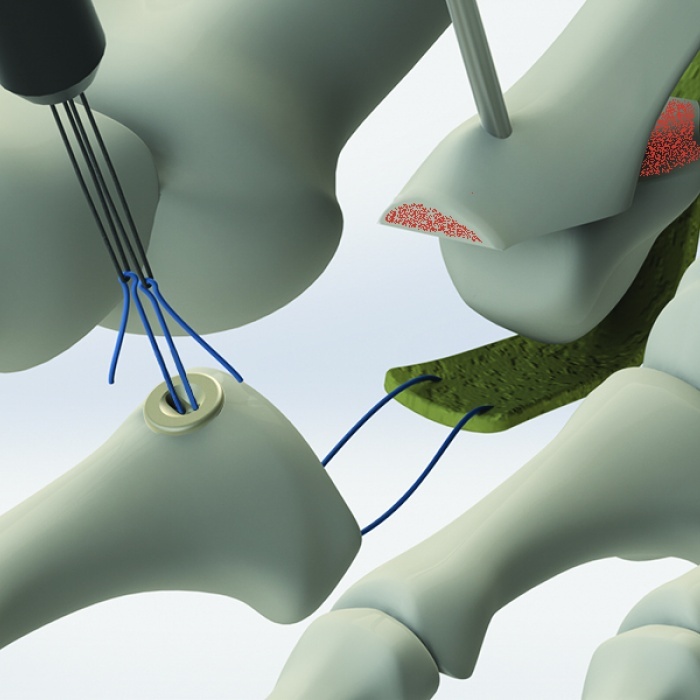 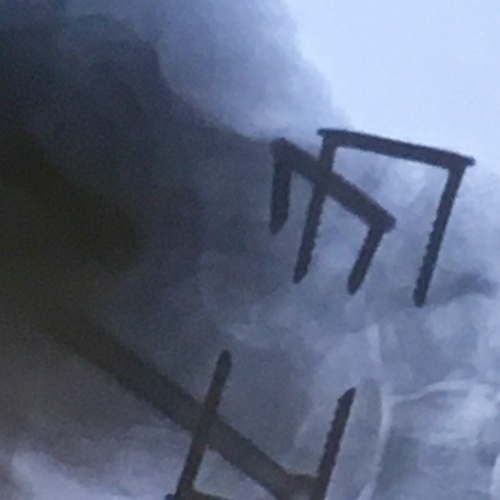 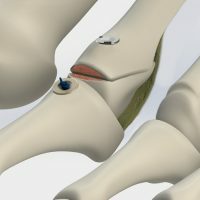 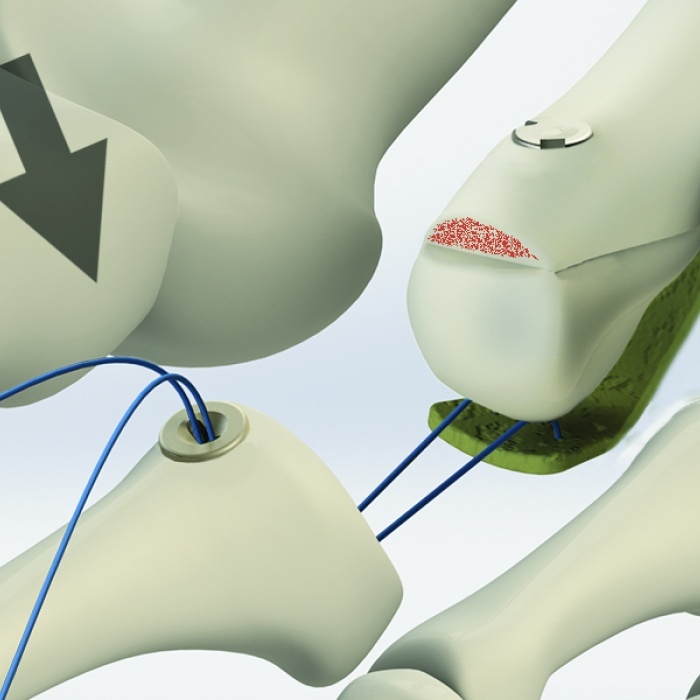 Both styles feature a unique distal cross hole which allows the surgeon the option to “tie in” the implant thus aiding in reduction and compression of the joint surfaces. 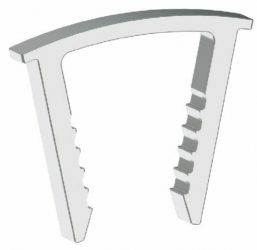 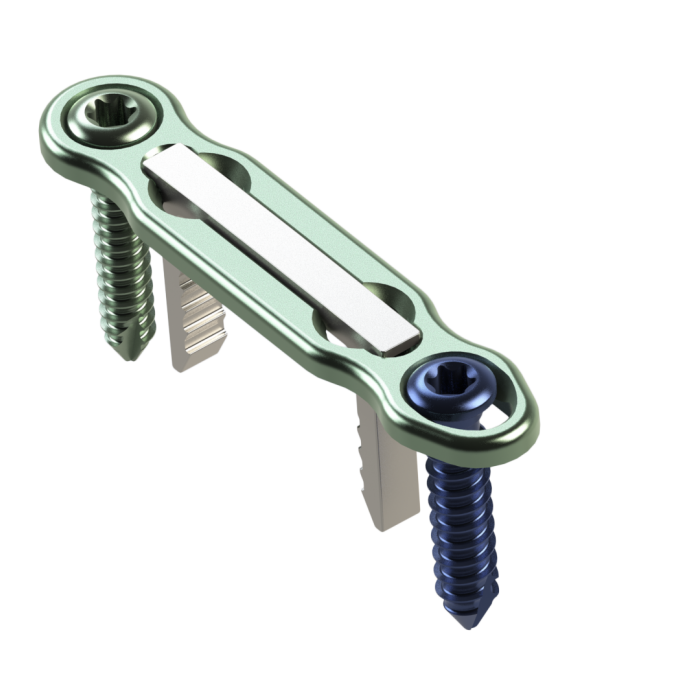 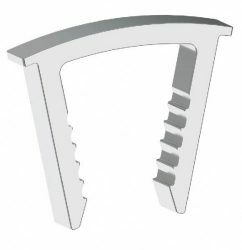 The CrossTIE™ implant is especially useful in revision cases where the tie in feature minimizes pistoning of the implant due to enlargement of the intramedullary canal. 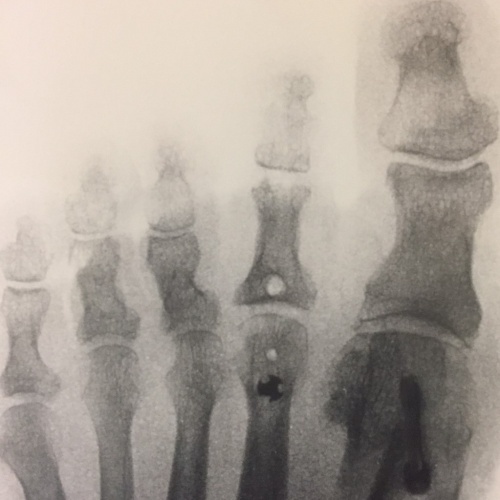 CrossTIE™ PEEK Implants are available in standard size of 3.0mm diameter, in a mini size of 2.5mm diameter, in both straight and 10° angled configurations. 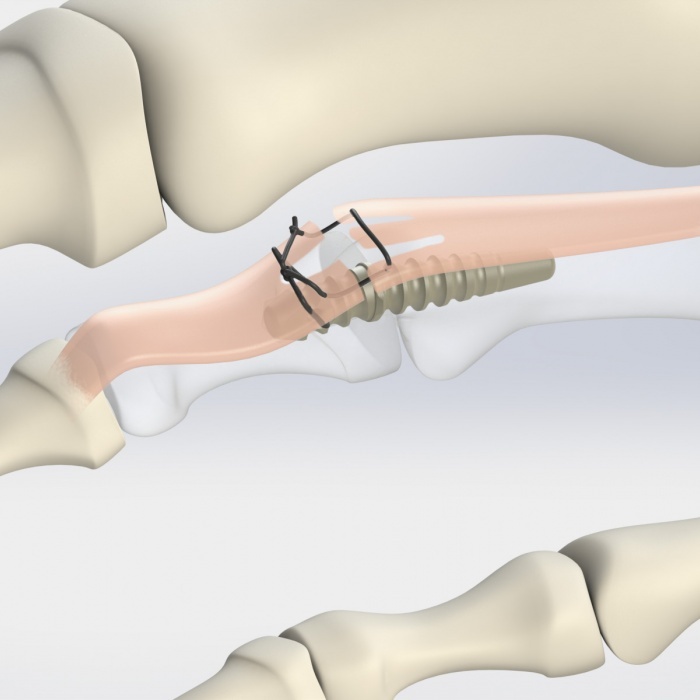 CrossTIE™ Allograft Implants are available in standard size of 3.0mm diameter, in both straight and 10° angled configurations. 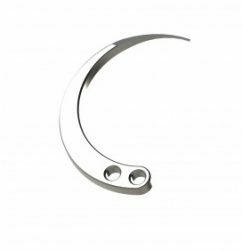 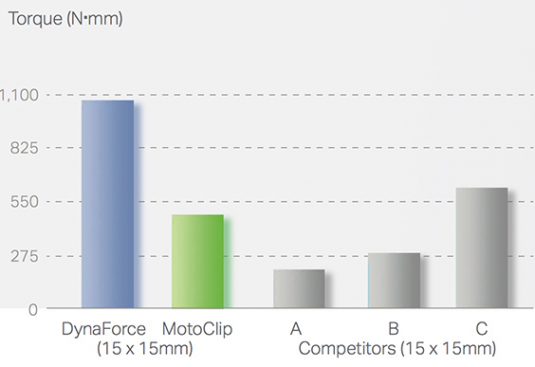 A mini size of 2.5mm diameter is available in straight only. 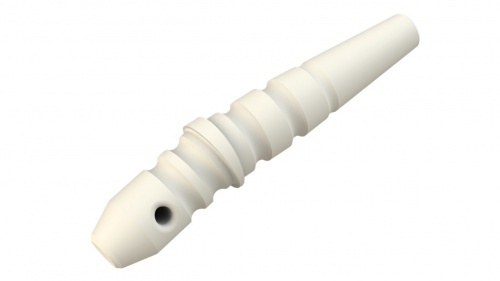 Unlike disposable instruments, our instruments are durable, high-quality and recoverable – after use, we purchase them back from you, re-condition them to new instrument condition, and repackage them in new kits.  That means less medical waste, reduced costs for your facility, and a greener, more efficient instrument service.